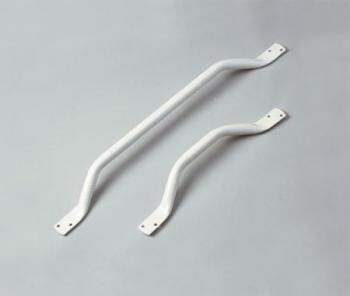 Angled Steel Grab Rails...This is an offset, angled version of the standard steel grab rail. Used where hand access may be difficult, for example, near a door jamb. Available in white, epoxy-coated steel.